Cable and Dot Cotton on Strictly Jump to media player Vince Cable has won praise from the Strictly Come Dancing judges for his foxtrot with partner, professional dancer Erin Boag. Barrowman wins Christmas Strictly Jump to media player Doctor Who and Torchwood star John Barrowman has won this year's Christmas Strictly Come Dancing special. 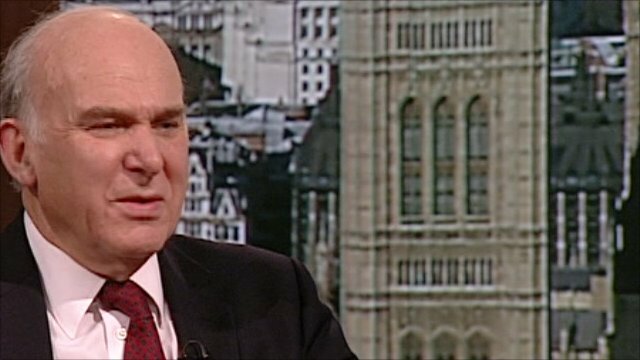 Vince Cable: 'I should be dancing' Jump to media player The Business Secretary Vince Cable has said that dancing helps to keep him "fit and sane". 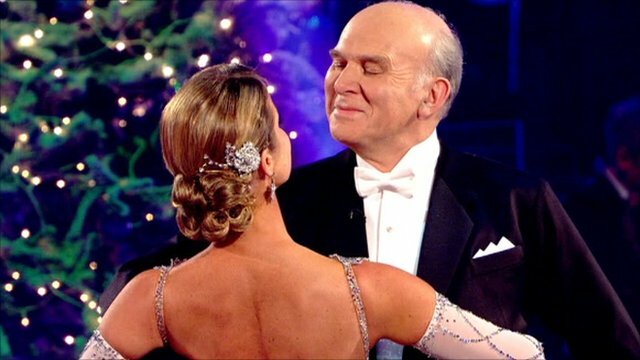 Vince Cable has won praise from the Strictly Come Dancing judges for his foxtrot with partner, professional dancer Erin Boag. The business secretary has been a keen ballroom dancer for some time - although that did not stop judge Craig Revel Horwood saying he had a "tendency to lean slightly to the right". EastEnders star June Brown also appeared on the Christmas special, becoming the oldest celebrity to appear on the programme at the age of 83.